We haven’t even made it to Halloween yet, but the Christmas spirit is already making its way into our Targets, drug stores, and Sky Mall catalogues. But fret not all ye Grinches and Scrooges, for there is actually quite a lot to look forward to. There’s actually something better than Grumpy Cat's Worst Christmas Ever on the horizon... the Bill Murray Christmas Special directed by Sofia Coppola. That’s right! Variety reports that the Lost in Translation creative duo are back together and bringing their signature Sundance melancholia to Christmas, and I, for one, couldn’t be more excited. Though I’m sure Coppola will put plenty of her signature moody spin on all that tinsel, egg nog and cheer, I still think Murray’s humor will be at the heart of the project. The special will feature Murray singing and performing classic Christmas carols. According to Coppola, "It’s not going to be live. We’re going to do it like a little movie. It won’t have a format, but it’s going to have music. It will have texture. It will have threads through it that are writing. There will be prose. It will have a patina style and wit to it. It will be nice." Murray just pops up in Hollywood or literally anywhere in the world and it becomes an event. Whenever he does pop up at, let’s say, a kickball game or karaoke, everyone scrambles to take a photo or tweet about the event to prove that it really happened. Maybe if you leave cookies and milk out the next time, your friends plan some urban frolicking, he’ll magically appear. It’s well-known in Hollywood that you can’t just call Murray and ask him to be in your next film. He makes that very difficult. Maybe it’s because he’s a very private person, or maybe it’s because he’s busy in the North Pole with all of his elves. Oh, did he think playing a modern day Scrooge would make us think, “Gee! He can’t be Santa if he’s in a movie about losing your Christmas Spirit?” WRONG. I KNOW YOUR SECRET, MURRAY. Who ya gonna call? SANTA! If Anjelica Huston is Mrs. Claus, I would be even happier. Ah, that rare time of year when Murray emerges from his workshop and blesses us with an appearance in a Wes Anderson film. 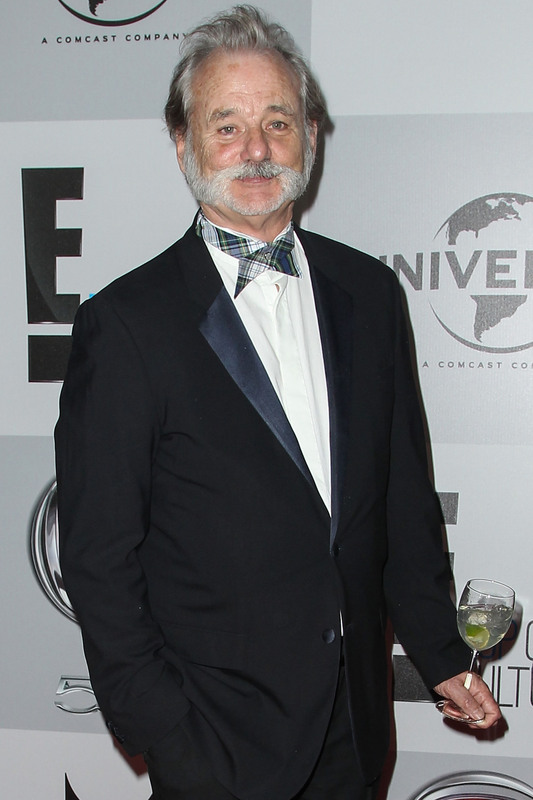 Bill Murray is Santa Claus.